Do Aliens Exist? Do They Live Among Us? Are They Cute? Do Aliens Live Among Us? Do You Believe Aliens Are Peaceful? let blink 182 tell you. What movie are we talking about? There is a good case to be made that many extraterrestrials would be more technically advanced than we are, and could reach this planet. Since our planet has not been taken over, or destroyed by such beings, it appears that, overall, they are peaceful. WHAT???? There is ZERO evidence suggesting they exist at all. Sheer numbers would, however indicate that they probably exist. Mathematical probability would indicate that most alien life would not be intelligent, and they being more technologically advanced than us or not is pure speculation with no facts at all to back it up. More than likely based upon mathematics and the vastness of our universe. Possibly. Who can say yes or no with certainty? Who can say with certainty?. Being a peaceful race isn't a prerequisite to conquering spaceflight. Most life on Earth is not intelligent, by human standards. That does not preclude our existence. Even if most life in the universe is similarly unintelligent, that does nor preclude the existence of intelligent extraterrestrial life. It's been noted that our solar system is a relative newcomer in the galaxy. There are a great many stars similar to our own which are much older. It's been estimated that the typical age of a Sun-like star is one billion years older than our Sun. That would allow a great deal more time than we have had for the evolution of life, intelligence, and an advanced technical civilization. I think intelligent forms of life exist on other planets in our galaxy, but they are as rare as earth-like planets. We don't knowhow rare that is. Then they would have to be fortuitous circumstances for them to evolve on such a planet. Then there is the time-line in which they exist. An intelligent species that happen to have evolved at the present moment may be rare. Then there is the problem of them traveling from their planet to ours to have a look around. There's a lot of space between stars. We like to think of 'advanced technology' as allowing anything to be achieved. I think there is a limit to technology, limited by the laws of physics. Just because we can imagine all sorts of stuff in science fiction movies doesn't mean much of it is actually possible. Have You Ever Seen an Alien? No, unless you count Joe Brand. Do You Believe Aliens Are Peaceful? Assuming we are talking about intelligent life that is the Apex creature on its Planet, They will have got to the top of their particular tree the same way we have, by being the top dog and non too peaceful, they will be as passive or violent as particular circumstances allow. I love how the last question in the subtitle just randomly asks if they're cute. I don't believe life exists outside our Earth. However, if life does exist in the cosmos and we are ever visited, it will most likely not be friendly. They will be most definitely be in search of resources. I imagine that they would take whatever they wanted and wouldn't care how they did it. What if it's not life, but robotics that we're visited by? This certainly would be bad! They would have already destroyed their creators and therefore have no respect for, or any need of life as we know it. Destruction and resources. Plain and simple. In any case I think we're screwed if we're ever visited. But the in search of resources part, well, there'd be plenty of near-by planets for them to find whatever they need instead of traveling all the way to Earth. I'm not convinced a higher technological society would be interested in us, anyway. I would think they would have manipulated their own environment to suit them. Also more time to become extinct. 2- Do Aliens Live Among Us? - I think you are using "aliens" in the Hollywood sense of the word. In that case I would say no. 4- Does Life Exist in Other Planets? - Most likely. Intelligent life is much less likely. 5- Do You Believe Aliens Are Peaceful? - No way of telling. Are we peaceful? The Great Filter. At some moment of every advanced intelligent civilization there is their opportunity to exterminate themselves. Yep. Or an extinction level event. Do the math, formulate the odds. You are living in a Star Wars fantasy. I kind of like 'the rare earth hypothesis'. All of the same or similar circumstances on some Alien Earth-like planet would have to match the fortuitous circumstances on Earth for intelligent life to evolve there. It is also possible to overcome 'extinction level events'. We have already done so once, by moving beyond the cold war. Deflecting asteroids on a collision course with Earth is considered technically feasible, with a little time we should actually be able to do this. What we can do, others can, too. True. But some asteroid could have struck the Earth at any time in human history. Maybe we've just been lucks up to now. The other lucky event for us is the asteroid that exterminated the dinosaurs, allowing mammals to evolve into us. 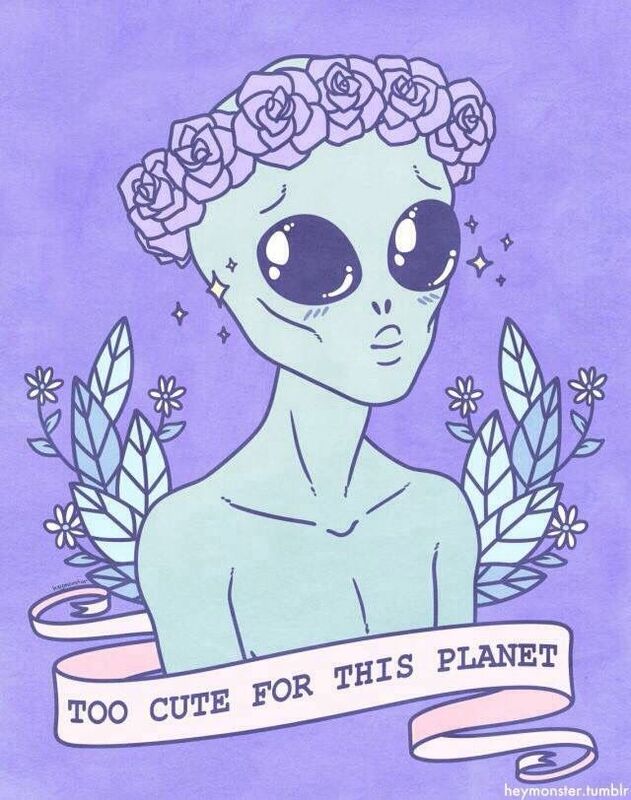 I just think the proper circumstances for intelligent life to evolve on any Earth-like planet are rare. Yes, to me the numbers clearly demonstrate that intelligent life has got to be the exception and not the rule. And if you pay any attention to people like Michio Kaku then it's clear that one a species starts to expand from it's home planet it wouldn't take long (by galactic standards) for the species to dominate the entire galaxy. There is absolutely zero indication of this. IMO we are special. If the history of science teaches us anything, it is that we are not, on this planet, in some unique situation. We have often imagined that we were, only later to learn better. Various nations once imagined themselves at the center of the (flat) world. It was once fancied that Earth was at the center of the entire universe. Not long ago, it was thought that planets were caused by rare events, and were very uncommon around other stars. All these notions were wrong. Given the billions of Earth-like planets now believed to exist in our galaxy, it seems not unreasonable that a still large number of them will fulfill conditions suitable for life, intelligence and civilizations. If only one in one hundred thousand of those planets was suitable, that would still leave well over 10 thousand such worlds in our galaxy. Unfortunately, we don't realize our Cosmic specialness. We're still living as primitive tribal societies separated by conflict. I'm not convinced the human race will ever evolve socially to some global civilization, aware of our possible potential..